Business Card Holders Display your business cards. You have worked hard to design your card to specifically exemplify your business. We create an individualized card holder to meet your personality or your business. 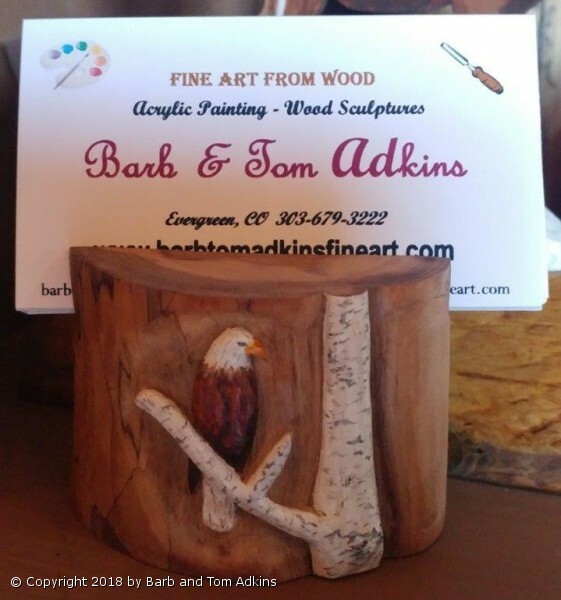 Tom carved the relief of a Bald Eagle & one of the Aspen trees in our yard that I painted. We love birds and live in the forest. This piece not only says a lot about us but also exemplifies the quality of the work we do and our art business.